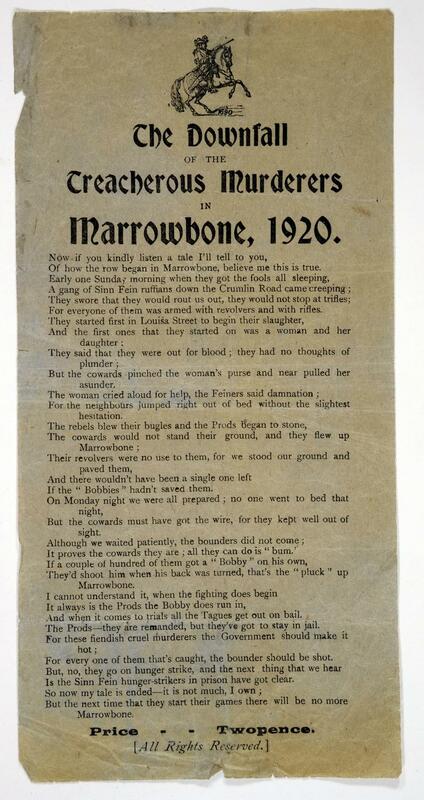 Printed ballad entitled 'The Downfall of the treacherous Murders in Marrowbone, 1920' headed by image of King William on a rearing horse. Price Twopence. All Rights Reserved.